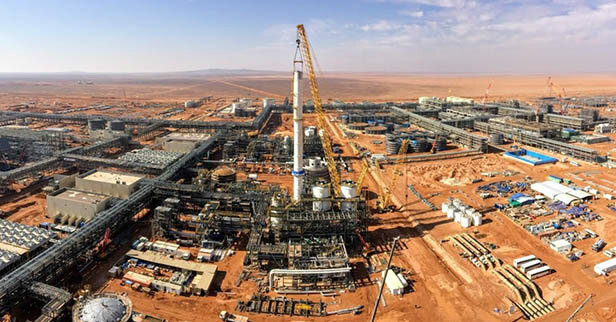 The Saudi Arabian Mining Company, Ma’aden, will use the dual-pressure ammonia process developed by thyssenkrupp Industrial Solutions in the new “Phosphate 3” ammonia plant at its fertilizer complex. As a subcontractor of the South Korean company Daelim Industrial Co. Ltd., Seoul, thyssenkrupp Industrial Solutions is providing the process license and extensive engineering, supply, and monitoring services. The plant – which has a capacity of 3300 tpd and is located near the port of Ras al Khair on the Arabian Gulf – is scheduled to be completed in early 2022. In total the three Ma’aden ammonia plants, which are part of one of the world’s largest integrated fertilizer complexes, will have a capacity of around 3.5 million tpy. The thyssenkrupp dual-pressure ammonia process is already being used with great success in the first two ammonia plants at the “Phosphate” fertilizer complex. The plants are highly reliable and eco-friendly. This dual-pressure ammonia process reduces energy consumption by up to 4%. “This third contract to build a new ammonia plant intensifies the already outstanding collaboration and great trust between Ma’aden and thyssenkrupp Industrial Solutions,” says Ralf Richmann, CEO of the Fertilizer Technologies business unit at thyssenkrupp Industrial Solutions. "It reflects our position as a technology leader for super-size ammonia plants and confirms thyssenkrupp’s reputation in the industrial sector."